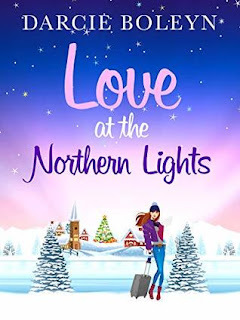 Love at the Northern Lights by Darcie Boleyn was so sweet, and a perfect festive read. It has me all excited for Christmas and filled with the warm fuzzies. It's an easy read for rainy days and has me longing to see the Northern Lights for myself. 5 Words: Family, attraction, secrets, love, forgiveness. This book gets off to a cringey start - in a good way. It opens with Frankie on the hen-night from hell, filled with everything I would dread in a hen night. And Frankie feel exactly the same as I would and it meant that I felt a pretty instant connection to her. Considering that her life couldn't be more wildly different from mine, this was a very good thing. Although most of the characters in this book are moneyed, this book focuses more on the expectations of others rather than the implications of wealth. It was perhaps a little handy that Frankie didn't really urgently want for anything, but she did have her own job too and it helped to ground the character and make her more relatable - yes, she had family wealth, but she worked hard too. I loved how this book started. From the cringey hen night to the disaster of a wedding, with the run to the airport and the snap decision to get on the plane. I loved the urgency of it all, the panic and confusion. It's very physical feeling, a different pace from what I'm used to and I raced through the beginning. And I loved how that all changed as she reached her destination. As much as Love at the Northern Lights is a story about finding yourself, it's also a story about giving yourself the chance to love. And familial expectations be damned. This is a gorgeous book with a bit of festive flair, and I only wish I'd read it closer to Christmas! This book sounds absolutely amazing, I might get this as my Christmas book! 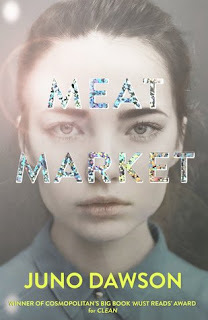 Aww this book sounds like the perfect evening read and perfect scrip for christmas movie! I can already visualize Jonas in my head. Book added to my reading list! I just love a festive read. Great review!